This is one of our core albums; use this subliminal learning album to enhance your ability to learn, and live up to your ultimate potential. This album will instill in you key personality traits, habits, and ways of thinking to help you to learn more effectively. 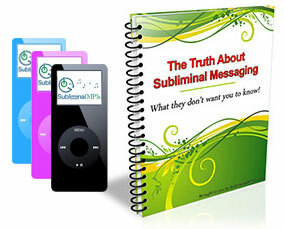 It works by sending positive subliminal messages into your mind which eliminate the habits and thoughts which have been holding you back and limiting your potential. It will help you to concentrate. Concentrate like you never have before. You will stay focused for longer periods of time, and not get distracted as easily. It will also help you to process information easier and faster. New information will go into your mind, be processed and stored more efficiently than ever. You will learn things first time, and need less revision and repetition. Your mind will be clear and your memory function will improve. You will be able to recall information as and when you need it. Finally, it will instill in you a burning desire to learn. You will want to learn new things, and to increase your knowledge. This in turn will make you enjoy your learning. You will no longer see it as a chore, or boring, you will see the benefits of learning, you will look forward to it, and enjoy your studies more than ever. As you start to use this album feelings of motivation and of being energized are pretty common, you will also notice a real intense desire to learn and to better yourself. With more time and consistent listening you really will gain an advantage and a boost in your capacity to study and learn new information quickly and naturally. Develop the personality of a high achiever, really commit to your learning, and gain an advantage - all with this powerful subliminal learning mp3.